From tales of struggle and triumph passed down through generations of a farm family to accounts of new beginnings for those venturing into agriculture for the first time, the stories shared by farmers are as rich and diverse as the fields they sow. These stories mark the history of a farm family and, as was recently witnessed in Green Bay, Wisconsin, can also help chart the path for their future. In early June, members of Wisconsin’s agricultural and conservation communities lent their stories to the Board of Agriculture, Trade and Consumer Protection, a policy-making body within the state’s Department of Agriculture, Trade and Consumer Protection. The department was tasked in 2011 through the state budget appropriations process to review and evaluate its investment in the fledgling Purchase of Agricultural Conservation Easement (PACE) program. Through the PACE program, landowners can apply for state funding to help purchase the development rights of their working lands and help protect it from non-agricultural development. The board meeting in Green Bay was the latest in the fight for continued PACE support. There is no off-season in agriculture and the spring and summer months can be particularly demanding. Nevertheless, speakers came from farms across the state, each leaving much work waiting for them back home, to share their stories and to make the case for PACE. Several farmers detailed the economic development benefits tied to PACE funding. They identified incentives to buy more land, expand operations and provide opportunities for young family members: When they reinvested in agriculture, their employees and local communities also benefited. As young farmers Christa Behnke, Zoey Brooks and Kyle Zwieg explained, the PACE easements on their families’ properties have provided them certainty for the future and the opportunity to carry on the family business. Zwieg added that he and a brother would probably be working off the farm had it not been for their farm’s PACE easement. The power of these farmers’ voices—just a sliver of the approximately 37,000 farm operators across the state—illuminated the numerous benefits of PACE. As a result of their efforts, the board took decisive action. After reviewing the recently released PACE report in the afternoon, the board recommended to the Wisconsin Legislature that the PACE program be continued and a source of funding be identified. The motion passed unanimously. This good news is the latest in American Farmland Trust’s ongoing work to help protect Wisconsin’s critical farmland. Along with our partner, Gathering Waters Conservancy, we have been on the ground in Wisconsin since 2008, working to secure essential policies and programs through the Campaign for Wisconsin’s Farm and Forest Lands. Together, we organized and coordinated a sizeable and influential coalition in support of creating two new farmland protection and farm viability programs — PACE and the Agricultural Enterprise Area Program — that were adopted and funded by the state Legislature in 2009. However, then newly anointed Wisconsin Governor Scott Walker targeted the PACE program for elimination in his inaugural budget package in early 2011. Through the “Friends of Farmland Protection” campaign, American Farmland Trust and Gathering Waters Conservancy coordinated key supporters from the farm, local government, land trust and planning communities to reach out to lawmakers, the governor and other key leaders to voice strong grassroots support for farmland protection in Wisconsin. In the end, the Legislature listened to the stories shared about the importance of PACE, removing the proposal that would have eliminated the PACE program and restoring funds for the first round of approved applications. Altogether, the land protection and conservation involvement of American Farmland Trust and our partners in Wisconsin have made progress while overcoming significant hurdles since 2008. The impact has been the designation of 340,000 acres in 17 Agricultural Enterprise Areas and 75 applications covering more than 20,000 acres to the PACE program. But our work is far from complete. Through collective action and shared stories, we continue to help steer efforts to protect Wisconsin’s farmland for generations to come. 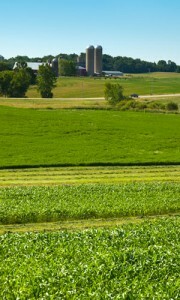 This entry was posted in Farmland Protection, In the News, Wisconsin and tagged Farmland Protection, purchase of agricultural easement, Wisconsin on June 27, 2012 by Bob Wagner. California agricultural leaders are making progress on a broad front to address major challenges to the industry’s sustainability, guided by goals established by the State Board of Food and Agriculture. And they are doing so by collaborating with environmentalists and representatives of other groups with an interest in the food system. These are the conclusions of a new report by American Farmland Trust (AFT) on the progress of California Agricultural Vision. The report, From Strategies to Results, stems from a process that was started in 2008 by the State Board and the California Department of Food & Agriculture. California Agricultural Vision (Ag Vision) was designed to identify and promote actions that farmers, ranchers and others in the food system should take to assure a healthy population, a clean environment and a profitable industry. From Strategies to Results documents more than 40 initiatives being taken to implement the recommendations of an earlier AFT report, Strategies for Sustainability, published in late 2010. Those recommendations emerged from a two-year process of engaging more than a hundred stakeholders, which was facilitated by AFT at the request of the State Board. A blue ribbon Ag Vision advisory committee of twenty leaders representing agriculture, the environment, hunger and nutrition, farm labor and other interests, formulated the final recommendations. Co-chaired by former AFT president Ralph Grossi and Luawanna Hallstrom, a member of the State Board, it continues to meet periodically to track progress and encourage broader participation. › Read the new From Strategies to Results and share in the comment space below what you believe are the most important and promising of the more than 40 initiatives described in the report. This entry was posted in California, Conservation, Farmland Protection, In the News and tagged agricultural vision, agvision, California, smart growth, sprawl, sustainability on April 12, 2012 by Ed Thompson. For decades, Eliot Coleman has defied the elements of winters in Maine to run his profitable and sustainable Four Season Farm. Last year, the farm grossed $120,000 from crops grown on 1.5 acres of land. From March 22 to 23, a conference for women who want to learn more about whole farm planning will take place at the University of Massachusetts, Amherst. Breakout session topics include animal health, marketing and making the farm-to-table connection. As part of its Conservation Innovation Grant (CIG) program, USDA Natural Resources Conservation Service is accepting proposals through March 2 for water quality credit trading projects. Our video on water quality credit trading, developed along with the Maryland Department of Agriculture, helps demonstrate the economic benefits to farmers with this approach. In its third year of operation, the Culpeper Volunteer Farm in Virginia is aiming to produce 60,000 pounds of fresh vegetables to be donated to area food pantries. 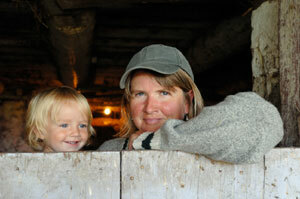 The 97-acre farm is run by approximately 1,000 people. In similar news, farmers of any size operation can match with food pantries throughout the nation through AmpleHarvest.org. Like many farmland linking programs around the country, California FarmLink is a busy matchmaker between aging farmers looking to sell or lease their land and beginning farmers looking to start new farm enterprises. 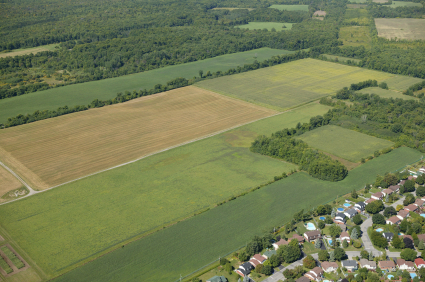 Last fall, we published our own guide to assist with land transitions in Connection: Farmland ConneCTions. This entry was posted in In the News and tagged farm link, food pantry, local food, new farmers, USDA, Water Quality, women farmers on February 25, 2012 by admin. The Pennsylvania Agricultural Land Preservation Board announced an additional 1,470 acres of farmland protected across 14 farms. Since the program started in 1988, state, county and local governments have invested more than $1.1 billion to safeguard 459,007 acres on 4,243 farms. On February 25, farm and food partners in Columbia County, New York, will host the first Farming Our Future conference. The meeting will engage farmers, institutions and consumers in discussion about how to boost local food, farms and communities. Taste the Local Difference of Northwest Michigan has recently launched a new series of photos and stories about local farmers. New stories are added each week. 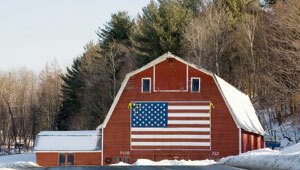 The New York Small Farm Summit is fast approaching on February 29. The summit seeks to increase the visibility of small farmers, encourage local collaboration among regions and prioritize emerging opportunities to enhance small farms in New York and the Northeast. A new online service is helping to match Wisconsin residents with appropriate jobs in agriculture. WhyAg.com features a skills-to-job match, as well as links to educational and training opportunities. Two workshops—February 28 and March 27—will address the challenges and opportunities involved in offering local, healthy food at Virginia hospitals, schools, nursing homes and corporate cafeterias. USDA’s National Agricultural Library, in partnership with the American Farm Bureau Federation, recently launched Start2farm.gov, an online portal that provides assistance for beginning farmers and ranchers. The website includes links to training, financing, technical assistance and other support services, as well as successful case studies about new and beginning farmers and ranchers. This entry was posted in Farmland Protection, In the News, Local Farms and Food and tagged beginning farmer, Farm to School, Farmland Protection, local food, Pennsylvania, USDA, Virginia on February 18, 2012 by admin. At Pine Tree Elementary in Avon, Indiana, students are learning more than reading, writing and arithmetic. The school’s Agri-Lesson Director, Angie Williams, is helping to connect students more directly with farms and food through a monthly “Ag Day” and accompanying lessons on the important role that agriculture plays in the state. On February 3, USDA announced the most recent recipients of its Value-Added Producer Grants. The total award amount of $40.2 million is the largest allotment for value-added producers in recent history. Senator Debbie Stabenow (D-MI), Chair of the U.S. Senate Committee on Agriculture, Nutrition and Forestry, has announced the committee’s farm bill hearing schedule for February and March. Tufts University has partnered with Enterprise Farms of South Deerfield, Massachusetts, to pilot an on-campus Community Supported Agriculture program. Though students have joined local CSAs in the past, this is the first time the university has had a program specifically designed to reach students, faculty and staff. There is still time to register for New York’s No Farms No Food® Rally on February 15 at the State Capitol in Albany. Help us urge state leaders to strengthen the farm and food economy, protect farmland and the environment and increase access to nutritious food grown in New York. This entry was posted in In the News and tagged farm bill, Farm to School, Farmland Protection, local food, No Farms No Food, value-added on February 11, 2012 by admin. Around the country, an increasing number of opportunities are helping military veterans transition to civilian life through farm programs and apprenticeships. In San Diego, a retired Marine has trained about 60 people returning from Iraq and Afghanistan through the Veteran Sustainable Agriculture Training program. And 2012 TEDx Manhattan Challenge winner Howard Hinterthuer is running a similar initiative in Milwaukee to help veterans transition into food production. Due to an accelerated legislative timetable, Land for Tomorrow is urging North Carolina residents to contact members of the state’s General Assembly now to ask them to protect conservation funding. From March 9 to 11, the Michigan Young Farmer Coalition is hosting a retreat for young farmers from across the state to gather and help strengthen the future of Michigan agriculture. Centerplate, the NFL’s largest food and beverage vendor, has partnered with Farm Aid co-founder John Mellencamp to promote its new line of “Homegrown”-branded locally sourced concessions. The partnership will kick off this weekend with bowls of beef and pork chili at Lucas Oil Stadium in Indianapolis. This week, USDA announced the commemoration of its 150th year by bringing together eight former secretaries of agriculture at the 2012 Agricultural Outlook Forum, February 23 to 24. The Michigan Land Institute is seeking to lower the unemployment rate through farming. The organization recently kicked off a program that would help low-income families gain the tools and resources needed to start farming. This entry was posted in In the News and tagged ag outlook, Farm Aid, Farmland Protection, local food, super bowl, USDA, veteran-to-farmer, young farmers on February 4, 2012 by admin.